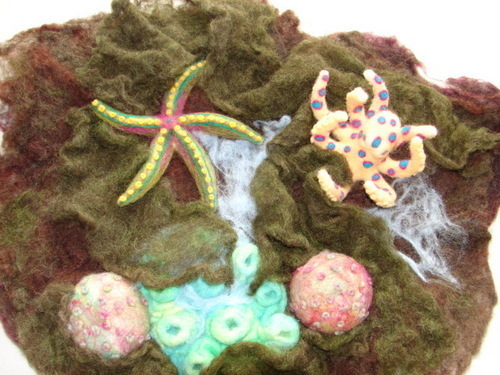 This is a handmade one of a kind needle felted likness of a tide pool. I have made an octopus,sea urchins, a star fish and anemones all nestled in a bed of wool kelp. 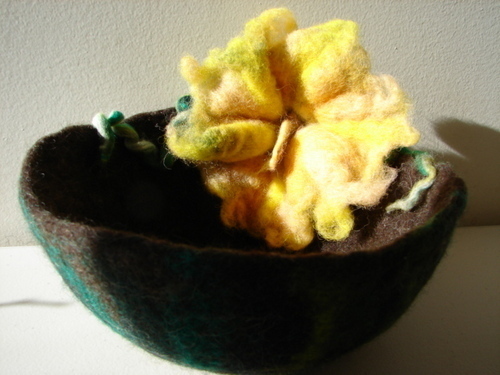 Pictured here is one of a series of handmade wet felted bowls I have done. This one features a yellow tropical flower and vine felted to the edge. It can be used as an art piece or can be a functional bowl for dry items or plants if it's protected from watering. This is a wall hanging made of 100% felted wool. 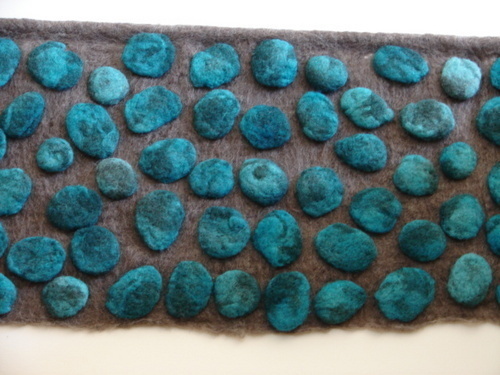 The turquoise "rocks" are all handmade and felted individually to a felted wool background. 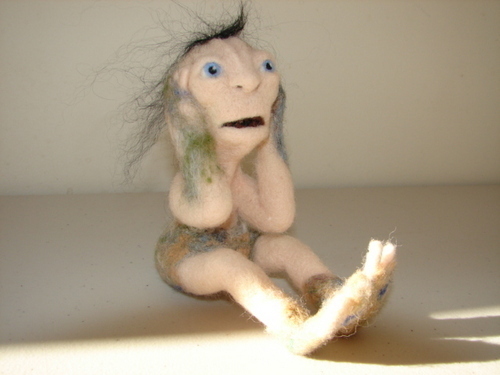 This is a needle felted sculpture of a character I call The Pondkeeper. His mouth is full of polywogs and his panic comes because the pond has dried up. 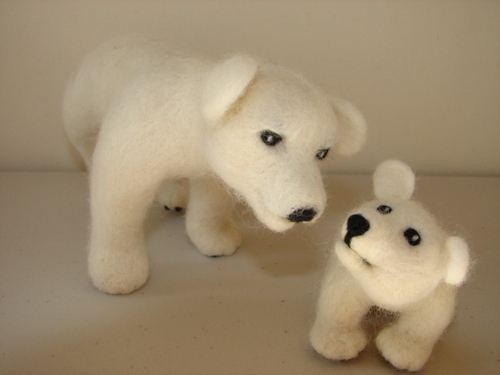 Here is an example of the wildlife I needle felt. This is a mother and baby polar bear. The little one is in a bit of trouble with mommy. The animals I make are all made with personality and facial expression to show their character.